Daniel Jose Molina as Prince Hal. Photo by OSF/Jenny Graham. This production is unique in my Ashland experience. Not in a good way. At all. The Festival is allowing an actor to go onstage who does not know his lines and cannot read them from the script he’s holding on a clipboard. It is bizarrely unbelievable that this nationally-known repertory theater has hired an actor for a single role which he cannot do. And, they have left him in the role, ruining the play for audiences and destroying the show for the other cast members. Unfortunately, G. Valmont Thomas, who was originally cast as Falstaff, has not been able to perform since right after opening in early July. 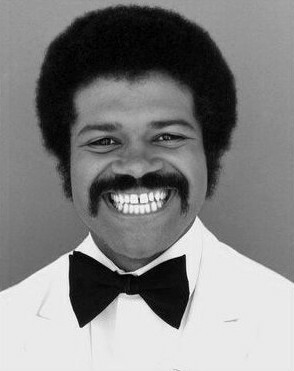 OSF decided to cast former Love Boat bartender Ted Lange as the replacement Falstaff, bypassing understudy Tyrone Wilson. According to reports from several company members, Lange was so bad in that pivotal role that the actors demanded that Wilson be made the permanent Falstaff. OSF management agreed, and Lange was given Wilson’s assignment as Northumberland, Snare, and Warwick. These three characters are not major, but are often on the stage moving the story along. Except, Lange is inept and cannot get through a single paragraph of dialogue without screwing up the timing, emphasis, or completely forgetting his lines. So, instead of helping the narrative move, Lange is constantly taking the audience out of the moment and disrupting the rhythm and sense of story. After the initial appearance Lange often shows up on stage with a clipboard so he can read from the script to get through his speeches. But, he cannot even read his role without skipping lines and sounding weird. Lange is around too much to allow any momentum in the show. The performance a waste of audience time and a waste of the tremendous talent elsewhere on stage. Tyrone Wilson feels completely in charge and comfortable as Falstaff. Daniel Jose Medina as Prince Hal does a fine job, and Jeff King (Henry IV) has excellent moments. Robin Goodrin Nordli has a scene stealing moment, Robert Vincent Frank is a memorable Bardolph, Kimberly Scott is regally rebellious, and, well, all the other actors are the excellent, talented people we have become accustomed to at OSF. Lange is so bad that the other good acting doesn’t matter. Instead of getting engrossed in the suppression of the rebellion or the maturing of Prince Hal, we kept dreading the next appearance of Lange. When King Henry IV calls out for Lord Warwick to join him, I really thought of standing up up and shouting, “Oh, God. Not Warwick! Anyone but Warwick!” But, I didn’t, and Warwick came on, clipboard in hand, and fumbled through the next scene. OSF’s response to Lange’s inability to perform is to schedule frequent rehearsals for the company that are supposed to continue until a couple weeks before the show’s closing. Seriously. Think of the cost in money and time to keep Lange in the role. And, so far, the extra rehearsals are not working. We have heard that Bill Rauch picked Lange because he wanted to keep the ethnic balance of the characters and cast. I don’t know if that’s true, but if it is, that impulse strikes me as patronizing. And, the continued reliance on Lange feels stunningly stupid. Even if you decide that it’s necessary in a Shakespeare history play to replace one African American actor with another, why pick an LA television actor? Even if all African American company members are completely booked, reach out to an alumnus or a local college actor. Alum Kyle Hayden is in town for other business, for God’s sake. I bet Kyle would be off-book and a fine Warwick inside a week. Ted Lange must feel awful. He looks sharp on stage. He is bright and animated. He’s directed and won awards (see his Wikipedia page). He’s probably a nice guy. But at this stage of his career, he is not a capable stage actor. OSF is doing a disservice to him, to the cast, and the audience by allowing him to continue in performance after performance. While Lange is in the show, Henry IV, Part 2 is unwatchable. Turn your tickets back in. This entry was posted in osf, plays and tagged Oregon Shakespeare Festival, OSF, Play Rating 0, Ted Lange. Bookmark the permalink.